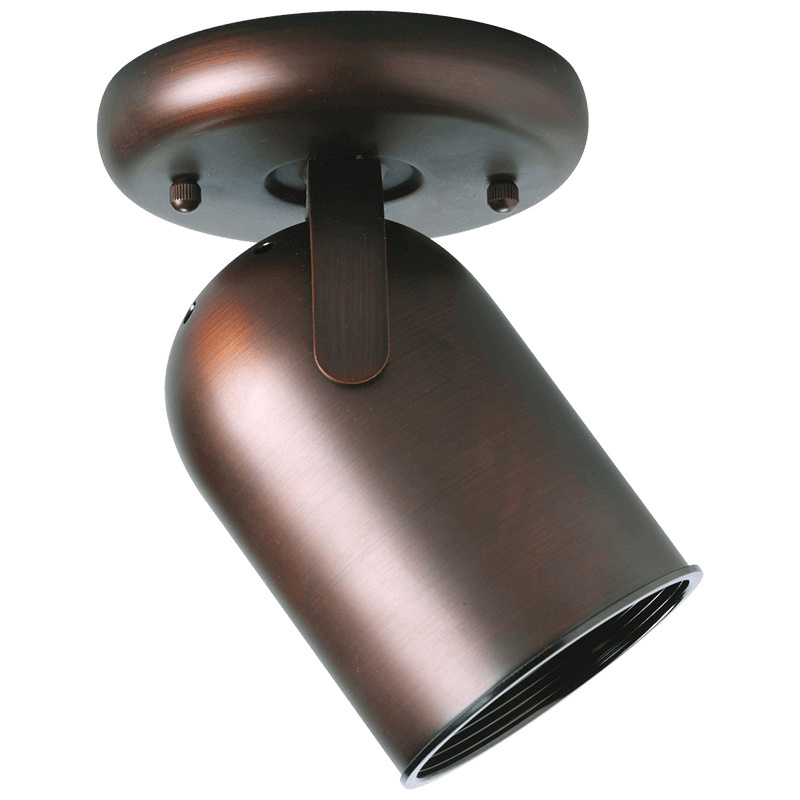 Progress Lighting Directionals Collection Multi directional roundback wall/ceiling fixture in brown color, features steel construction with plated urban bronze finish for effective corrosion resistance. The fixture delivers 50-Watts of superior light output using 50-Watt medium PAR20 incandescent lamp. It has a dimension of 5-Inch x 6-1/2-Inch x 6-7/16-Inch. Fixture is cCSAus listed.